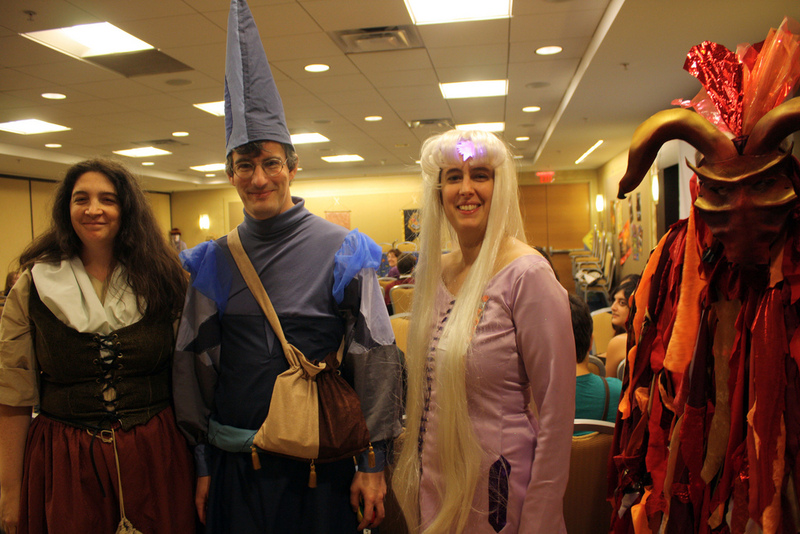 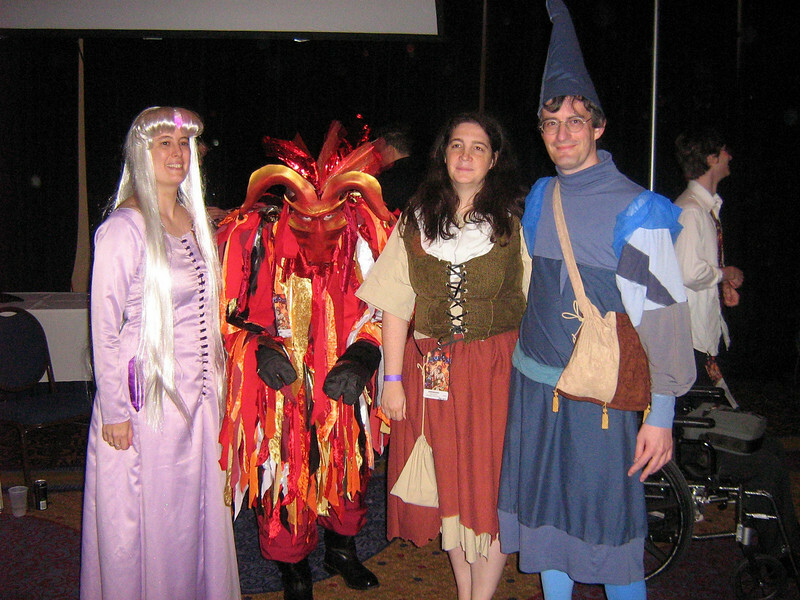 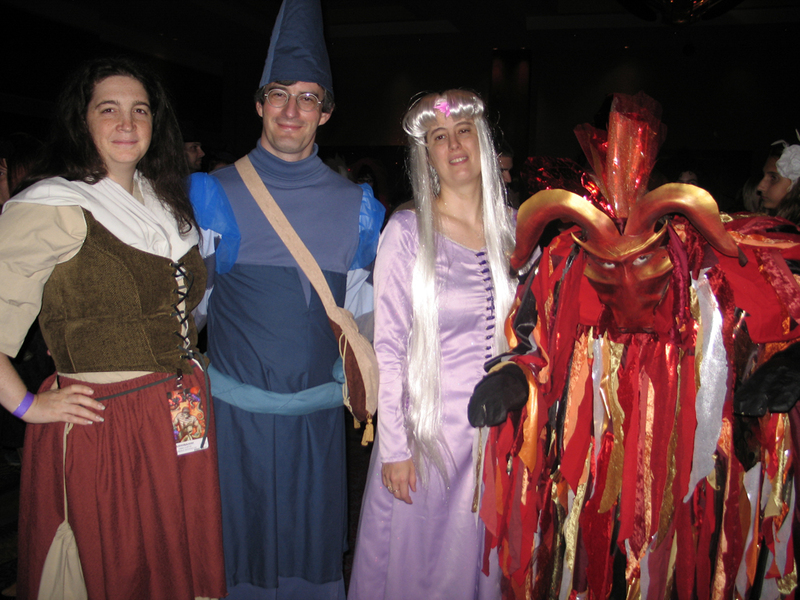 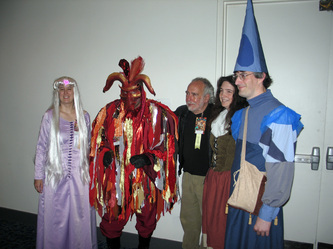 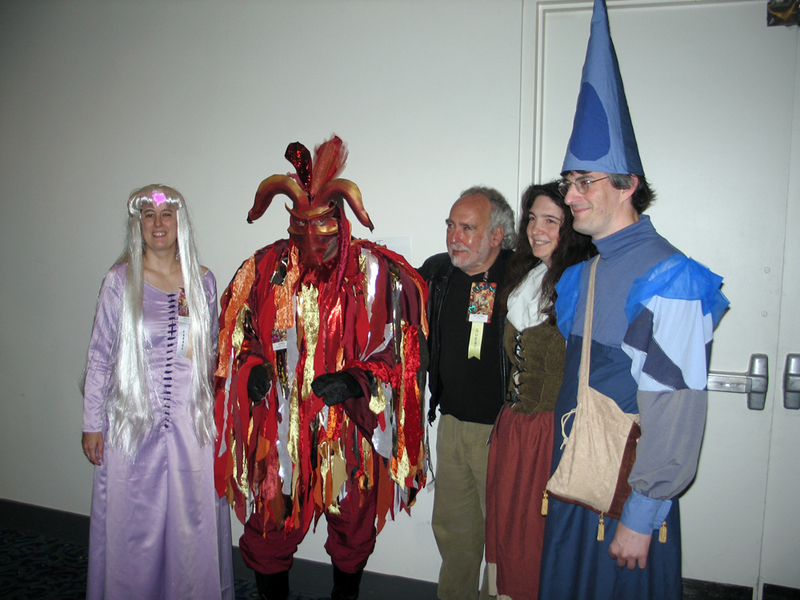 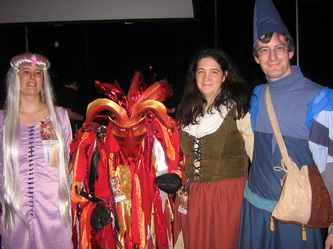 These costumes were inspired by the animé film based on Peter Beagle's novel of the same title. 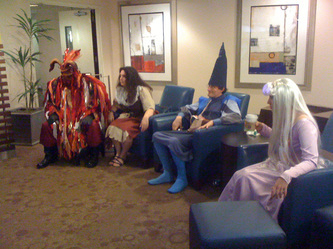 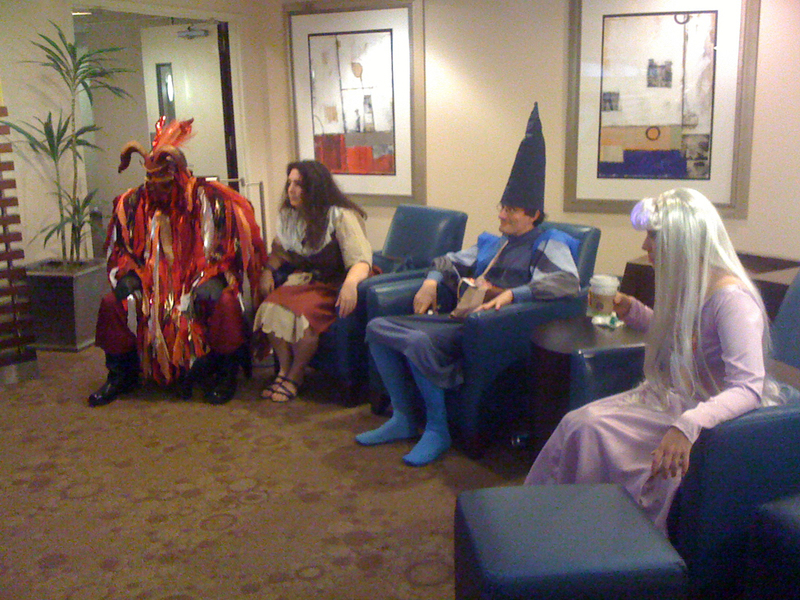 I talked three friends into this insanity with me; special recognition goes to Ben Curtis as the Red Bull, for wearing that heavy, uncomfortable costume. This group won "Best in Show" at the Young Adult Literature costume contest. 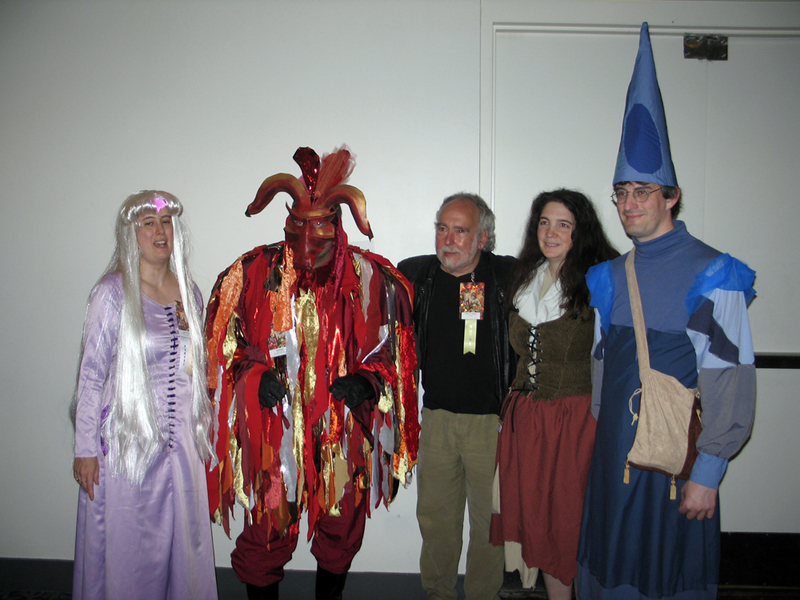 We sought out Mr. Beagle in the dealers' room to show him our costumes and take photographs.